Hundreds of Winnipeggers (those who didn’t have to work) took to Voyageur Park on Monday. There was a short ceremony to mark Louis Riel Day, lots of great entertainment and delicious food, as per usual. St. Boniface councillor Dan Vandal speaks to the crowd gathered at Festival du Voyageur on Louis Riel Day. 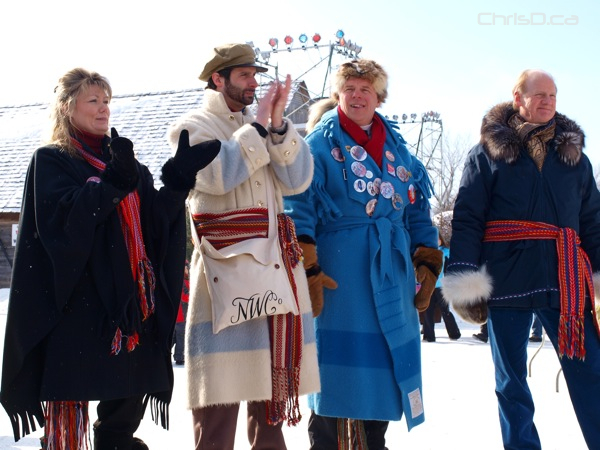 Manitoba Minister of Finance Greg Selinger and his many pieces of flare express a message to celebrate Louis Riel Day. Politicians and special guests gathered, including Conservative MP Shelly Glover, Manitoba Minister of Finance Greg Selinger (third) and author John Ralston Saul. 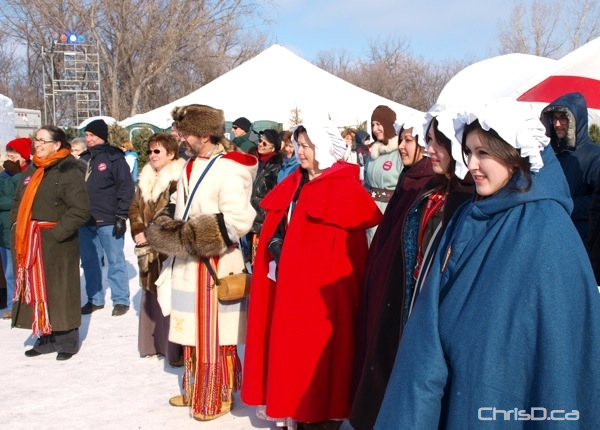 The crowd listens on Louis Riel Day while dawned in beautiful outfits celebrating the Festival du Voyageur.